WordPress started out as a blogging tool. Which means that by default, the homepage displays a list of all your posts in reverse chronological order. But for a business, this doesn’t make a lot of sense. You want it to display your homepage instead. 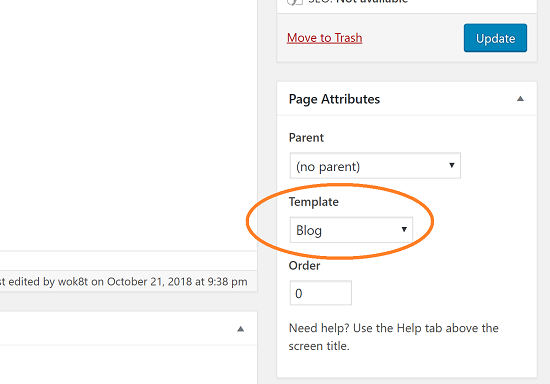 So here’s how to set the front page in WordPress to some specific static page. Note: If you’re relying on WordPress for your business, good hosting support is crucial. These three providers have the best customer support in the industry. Keep in mind that good customer service isn’t cheap! Among the three, SiteGround has the highest discounts – here’s a list of SiteGround promo codes for yearly web hosting. Check them out. In the editor screen on the right hand side, scroll down to find the box “Page Attributes”. 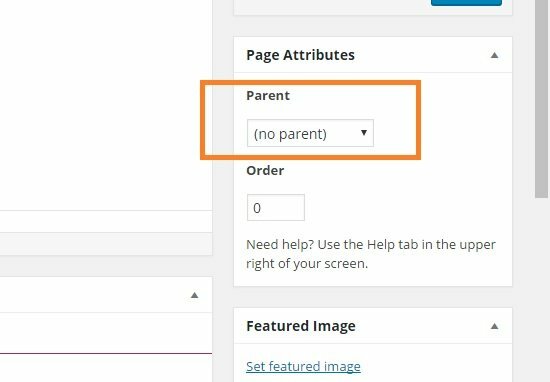 Make sure that the value “no parent” is selected in the drop down box under “Parent”. It won’t show up if this is the very first page you’ve created, so don’t worry if you don’t see it! 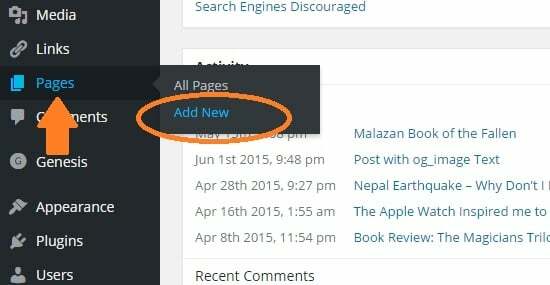 This will ensure that you page is the first page in the hierarchy. 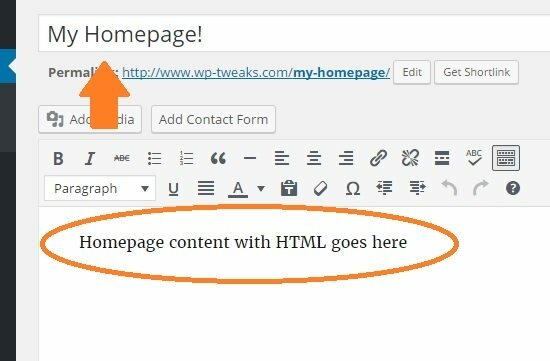 This is important because if you later want to create a “breadcrumbs” like interface, you want your homepage to be at the very top. Save your newly created page. However, not every theme has a blog template built-in. In which case, simply choose the default template. It should work in most cases. Save your new page and give it an appropriate title. 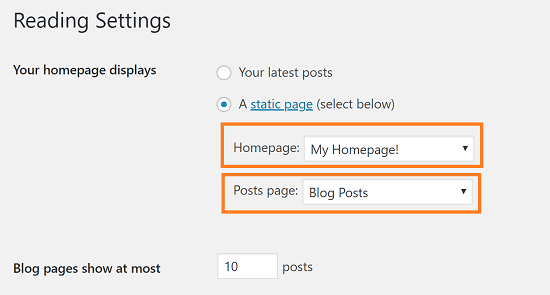 At the same time, set the “Posts page” option to the new blog posts page you created in step 3. Save your changes, and that’s all there is to it. The next time you visit the front page of your WordPress website, it’ll show your newly minted homepage instead of a list of posts in reverse chronological order. A regularly maintained blog is key to your content strategy and ensures that your site remains fresh. Once you change the homepage away from your blog posts page, you need to make sure that visitors can find it easily. 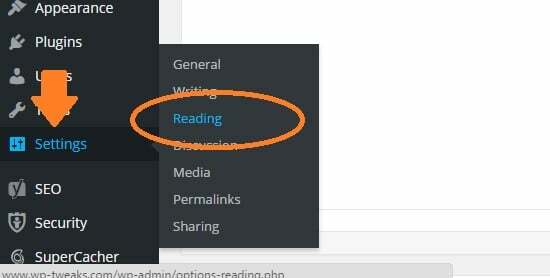 The easiest way to do this is to have a dedicated location on your menu bar for the blog posts. Congratulations! You’ve successfully created a static page and set it as the homepage of your WordPress website.